WhatToNameIt: Sahana bestows on me the Tamilnadu State award. all the best....wishing u great success as u look ahead. Well deserved. Wish you more. A truly deserving victory... indeed a 'VIJAYA'dasami.. At this moment, I am somehow reminded of your program on gurus that came almost a year back on tv.. and how your mom is an integral compenent of u.. May you have all the bliss!!! Congratulations.May U get more and more awards.God bless.Best Wishes. நெஞ்சார்ந்த வாழ்த்துகள். விரைவில் தேசிய, சர்வதேச விருதுகள் குவிக்கவும் அட்வான்ஸ் வாழ்த்துகள்!! Congrats Chinmayi. May U go on to win the national award. Congratulations!!! All our wishes for you to achieve more going forward!!! How Sweet! Perhaps the Award from Sahana tells you to make a Carnatic Album. Go ahead and show your prowess. Kudos for the well deserved recognition. I am sure this is the beginning of greater achievements to come. God Bless you. congrats and wishes..! keep rockin..!when that song missed vijay awards i felt really bad..but feelin very happy now.."
Congratulation . Great song . you have sang it beautifully.. Wish you more. Yeah, well deserved award. Congrats Chinamyi! My Heartiest Congratulations Chinmayi ! May god bestow many more blessings on you in the forth coming projects also. was too happy when i saw your name flash on the 2007 awards ! way to go keep rocking ! A truly deserving victory... May you have all the bliss!!! congratulations for bagging the best singer award for both 2008 & 2009. 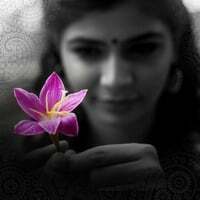 Congrats Chinmayi.. Wishing you to get a National Award Soon.. Many more happier returns of the day !! My heartfelt wishes to you. It was with this song SAHANA,I came to know you as a playback singer(ya too late). We love you,adore you,admire you and will always pray for you. I am not just flattering here. You deserve it... 100%+ and I am sure that you are gonna continue this winning streak. Congratulations. May God bless you with more such milestones in your musicial journey. Congratulations!It was a well deserved Award. Amazing Chinmayi! congrats.. well deserved award! I am a new fan (actually old) fan of yours I Have been following your blog regularly. I liked the piece about doctors of the future. It is one of these ruffians that killed my mother 33 yerars ahgo by wrongly injecting her when she was very weak in Tambaram TB sanatorium.The selection system (both Engineering and medicine)is riddled with corruption. A very well deserved Win. By the way you seem to excel in duets nomatter who the other singer is. Congratulations!!! But it's just one word! Wow!! Congrats ! You really deserve it ! Congratulations for the award and we all pray that you reach bigger milestones . Congrats Chin, U deserve it! Sahana was awesome.. Wonderful duet second to Tera bina. You are rocking always. You are deserved to get more national awards too. your voice make us to feel too good. My heartiest wishes for you!!! Hi chinmayi Congrats........Keep rocking.....Has jaggu bai songs been released in net?????????? Heartfilled Congratulations! May you scale greater heights in music and achieve great things. Heartfelt Congratulations, Chinmayee. In a world which sees one new singer everyday, such awards define who the real talents are !! God Bless !! Beautiful things happen to beautiful people with beautiful heart. Am so glad that you got Tamilnadu states award for "Sahana", this song means soooo much to me :-)))). All the best for even more beautiful career in singing. what an excellent song it was !!! Heariest wishes Chinmayi!!! You really deserve that and many more to come.. Keep rocking!!!! You are very versatile,multi talented,very street smart. I can only heave a big sigh att he lucky man who will win your heart. I knew the moment I heard Sahana you will get a prestegious award. Hey,belated wishes for bagging the state award!!!! Sorry I didn't know when I called you up for the appointment. Congratulations!!! This is one beautiful song, and you have rendered it very well! Congratulations on winning the State Award! Hope to hear you in more songs.வாழ்த்துகள்! Congratulations...Wish you all the best in your professional and personal life..May God give you lots of peace and good health to achieve more laurels..Love your singing..